The city of Trujillo attracts hundreds of tourists every year not only for its wonderful beaches and its great archaeological sites but also for its delicious cuisine. Located next to the Pacific, Trujillo is the perfect place to try a good dish of seafood but also to taste various soups and meat options. As a trip is always better if accompanied by good food, here we tell you the dishes that you can not miss in Trujillo and the best restaurants to try them. 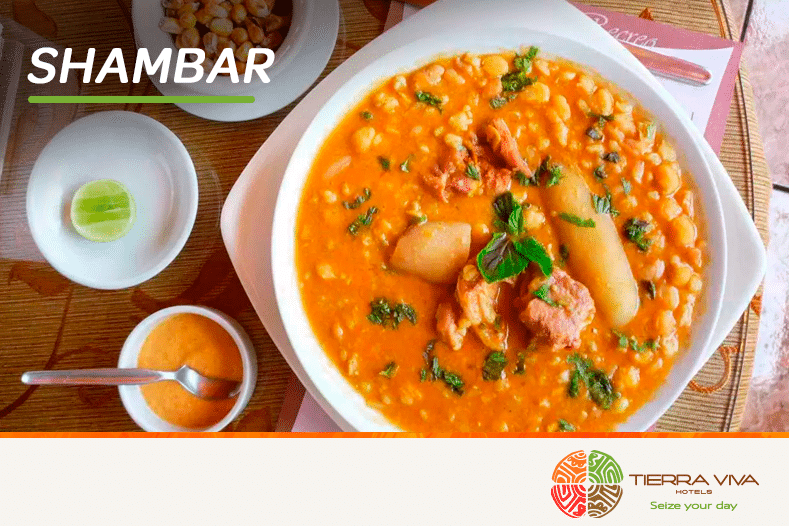 Shambar is the soup (and the star dish) of the city of Trujillo. It is a broth made with broad beans, chickpeas, beans and the ingredient that gives the name to the dish: shambar wheat or peeled wheat. As an accompaniment, some restaurants serve it with a dish with serrano ham, yucca, and red onion. The shambar is served from early in the morning until lunch and you will find it mainly on Mondays since it is the day in which this soup is traditionally eaten. Where to eat it: La Cocinería (Fátima Avenue 572). The great Peruvian seasoning can be tasted with great intensity in the kid with beans. 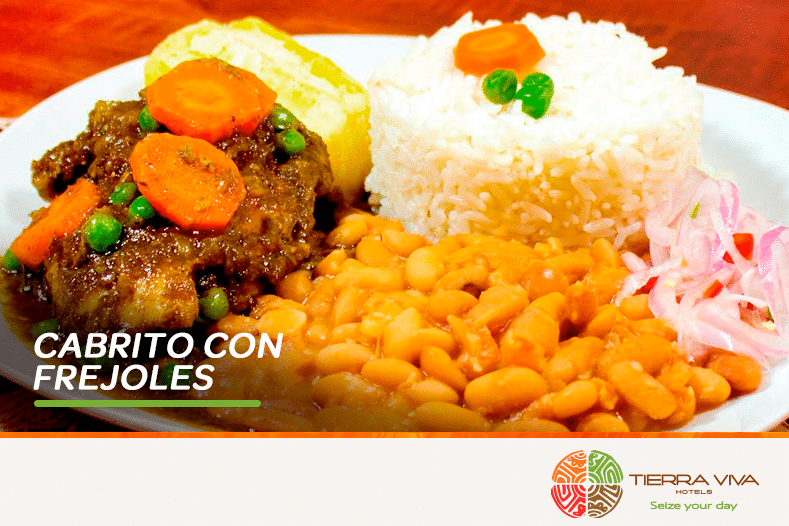 The kid’s meat is macerated for hours in “chicha de jora” (a drink made from malted corn) and it is accompanied with rice, beans, and purple onion. Where to eat it: El Rincón de Vallejo (Jirón Orbegoso 303). In addition, this place is perfect for a typical Trujillo breakfast: bread with pork rinds. If what you like when traveling is risking with new things, we recommend you to try rice with duck, an animal quite consumed in other parts of the world. 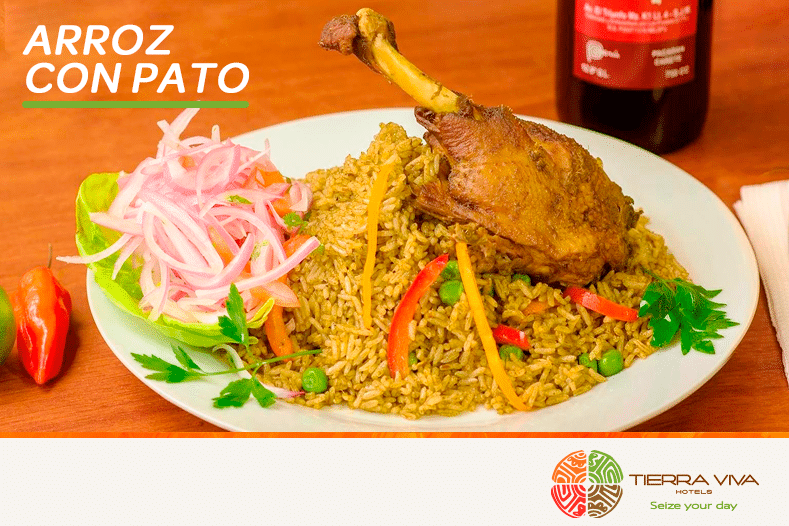 This dish, inherited from the Moche and Chimú cultures that inhabited this area, has as its protagonist the duck served with or without bone and accompanied by green rice (made with ground coriander). Where to eat it: El Mochica (Bolívar Street 462). The great benefit of being close to the coast is having a large quantity of fish and shellfish right there. 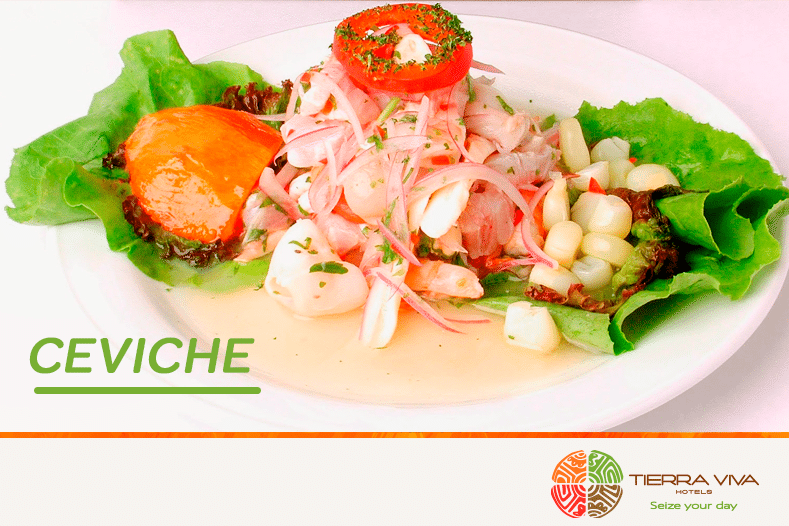 Therefore, in Trujillo you can not miss the star dish of Peru, ceviche, because they prepare it with great quality. As you already know, ceviche is made with fish marinated in lemon and accompanied by onion and sweet potato. Its freshness makes it the ideal dish to eat during the hot days of Trujillo. Where to eat it: Big Ben Huanchaco (Víctor Larco Herrera Avenue 1184). 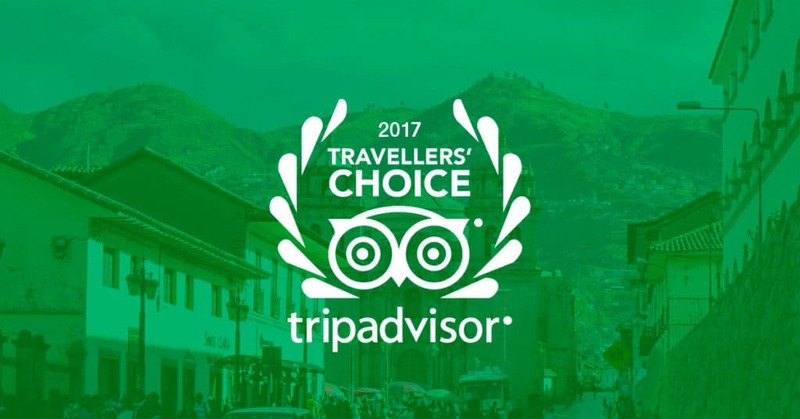 Are you preparing your trip to Trujillo? 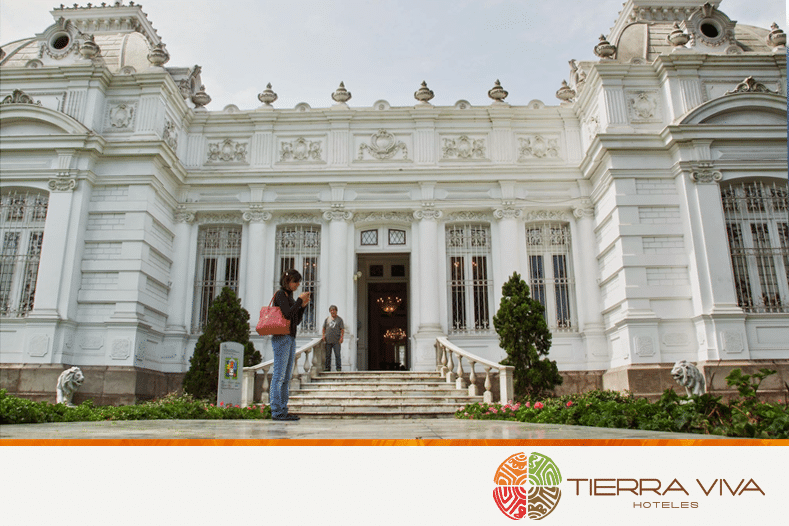 We wait for you in our NEW Tierra Viva Hotel! It is hotel located one block from Víctor Larco Herrera Avenue and with buffet breakfast included. If you want to know more about this place, visit us at www.tierravivahoteles.com.